Melodies are magical. They’re what we remember and love most about the music. And, they are the foundation of every kind of music from ancient Gregorian Chant to Hip Hop. 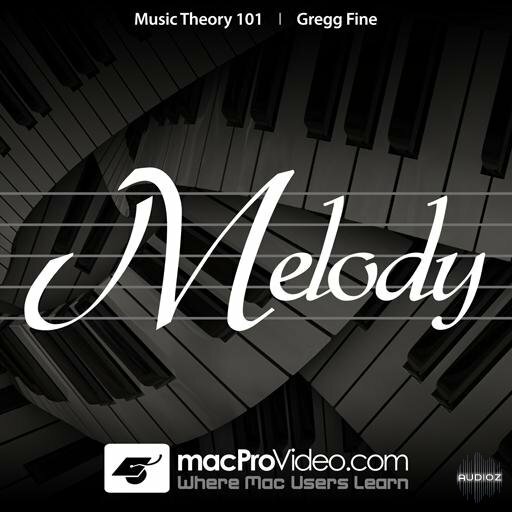 In this entertaining tutorial by composer Gregg Fine, you’ll learn how melodies are constructed and discover all the parameters of melody making beginning with notes and scales. Next you’ll see how major and minor scales are constructed with their unique patterns of whole- and half-steps. From there Professor Fine demystifies accidentals: those odd little symbols that live alongside musical notes on the page. After that there’s a section where you’ll get into musical intervals: those vibrating building blocks of melody and harmony! Then Gregg modulates it up a key or two by focusing on some exotic scales like Pentatonic, Blues, Octatonic and Augmented. Ever hear of these: Dorian, Lydian, Aeolian and Phrygian? These are some of the mystical musical modes! You’ll explore all 7 modes derived from the scale and learn how they are constructed and how they can add another layer of color to you songwriting palette!